I was thinking that once you are here in Fair Play and are enjoying some of the great wines from the many great wineries here, you'd wonder what makes the wines so great.We all know the winemaker slaves over his harvest, crush, fermentation and barrel aging, but most of us don't know about the Fair Play Terrior. That word is pronounced tar-war. Similar to pronunciation of Pinot Noir. After all, both are French. That means we have to say them the same way. I can't and I seldom try with any success. Mastroserio Vineyards just finishing harvest, south facing slope. So what is the Fair Play Terroir? I've just thrown in Fair Play as that is the area I'm writing about. Fair Play is an American Viticulture Appellation (AVA). That means Fair Play is now known as an area that has grapes grown which are unique to Fair Play; and if they are sold outside of Fair Play and are used as a varietal in wine, the label must say Fair Play. You've seen labels with Napa, Paso Robles, Sonoma, etc. and then the name of the wine - Cabernet Sauvignon. The AVA labeling is a legal act that keeps grapes special for the area they were grown in. What makes the area where they are grown has all kinda of different elements. All those things thrown together are the Terroir. Iverson Vineyard with Malbec vines on the east slope. When using Fair Play Terroir together I am really speaking about the culture of the Fair Play wine industry. The terroir is really an inclusive word for all aspects of what makes the grapes, not only the wine. Many experts can agree on only a few elements of terroir, but most agree terroir is largely the soil, micro-climates, agricultural practices and the environment of the home of the grape vines. Discussions of terroir can incorporate proximity to mountain ranges like here in Fair Play or with closeness to rivers, headwaters, valleys, dormant or extinct volcanoes, mineral deposits, old-growth forests or strong ocean currents. Terroir is a blanket term for nearly everything that has or will affect the soil in which the grape roots will feed. In a nutshell terroir is almost everything about where a grape vine is located and planted. A north facing slope above a river which is fed from a lake in a volcano crater has very distinct and different aspects of its growth than a vine planted on a south facing slope with little crevasses and loamy decomposed granite soils and large oak trees near by. From the toiling of the soil to the finished bottle is the terroir of the wine. Many a wine snob, ooppss, I mean expert, has their own long winded explanation of what they mean by terroir. Seldom do you hear complete agreement, nor is there a reason for complete agreement. Terroir is the interpretation of the wine and wine making activities for those distinct and different grape growing regions and wine making practices. Bountiful is on the Windwalker driveway through their entrance gate on the south slope. The reality of it all comes down to the terroir of the wine you are enjoying in a tasting room or at home. You can discuss some sort of terroir of the wine and you will sound like you really know something. Just say the word terroir the next time you are in a tasting room and even most tasting room people will look at you like you're weird. Just don't sound like a snob and always enjoy all the wines you drink. Remember, the best wine in the world is the one YOU LIKE. I was thinking that once you are here in Fair Play and are enjoying some of the great wines from the many great wineries here, you'd wonder how it all started. 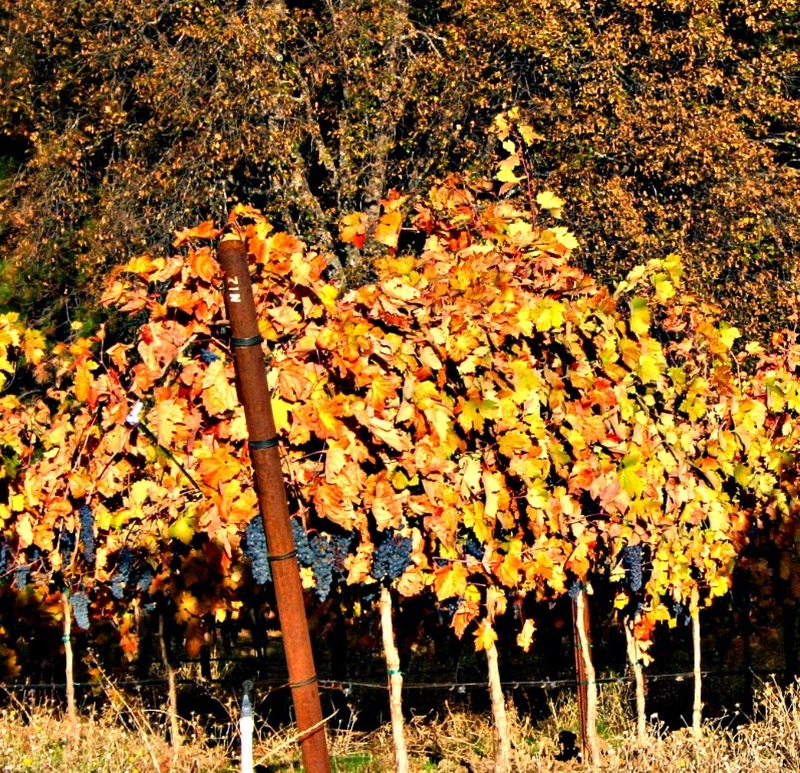 This is the third and final part of the History of the Fair Play Wine Country. Hold on to your seat, this will be like a Vin Diesel & Paul Walker "Fast & Furious". A the conclusion of part 2 I said Cindy & I lived next to a future winery. Mike and "D" Iverson lived on the back side of the property we rented while we started our construction of Lucinda's Country Inn. They both worked "down the hill" while moving dirt, planting vines and rearranging the barn, the storage shed and almost everything else on their property. We could sit on our patio looking at the setting sun and see Mike & "D" walking to their mail box at the end of their driveway. We have become good friends. They opened in March of 2006. This view is when you are driving up the driveway to Iverson Winery. I make no apologies for the non-chronological order of the winery start positions. From the time Cindy and I started building Lucinda's Country Inn until today there have been over two dozen new wineries open in the Fair Play Appellation. Our little corner of the world has truly become a mecca of great boutique wineries; all have won many awards. The terroir and micro-climates of the Fair Play Wine Country make the region a standout for full bodied, rich flavored wines, like Zinfaandel, Barbera, Petite Syrah, just to name a few. The following is a thumbnail of the other wineries I have not already covered in my two privious posts about the history of the Fair Play Wine Country. dkcellars finally opened their tasting room in Fair Play after many years of having tastings in the Vino de Plaza tasting center in Lockford, just east of Stockton. Firefall Winery's tasting room was on Mt. Aukum Rd. room near the Somerset four way stop sign. Their vineyard is up Grizzly Flat Rd. After Firefall left their tasting room, Cantiga Winery opened in that space while their winery was being built on Grizzly Flat Rd. Now, that building houses the Bechard Winery tasting room, with their vineyard is up Grizzly. 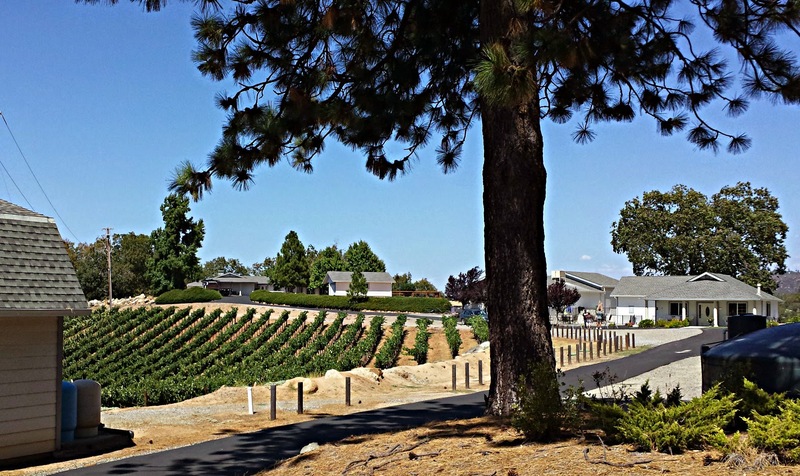 Speaking of Grizzly Flat Rd., Busby Cellars Vineyard and Winery was developed by the owners, Elliott & Sherrie Graham, with them doing most of the work themselves. Saluti Cellars in a about 3 miles from the Somerset 4-way stop sign; up Grizzly Flat Rd. Randy & Tina Rossi have developed without question one of the most beautiful winery properties ever created. At the corner of Fairplay Rd. and Mt. Mount was Sierra Oaks Winery tasting room for many years, until the owner, Jim Brown, retired and closed up shop. As we went through the grueling County process of permitting, Paul Toogood out smarted the County by drilling into the hillside for caves. He by-passed the county and got permitted by the State Mines & Geology for the Toogood Winery. John Alexander blasted his way into Fair Play by dynamiting the building pad for his Colibri Ridge Winery into the rocks on the Grey Rock Rd. Mt. Aukum Winery built their tasting room on Mt. Aukum on Tower Rd., named for the communication tower adjacent to the winery. Cheateau Routon is an Arabian Horse ranch as well as their winery. Their tasting room has one of the best panoramic views in the Fair Play Wine Country. Linda Neil at Mellowood Winery started her own vineyard and winery after many years of vineyard management in Napa. Mellowood Vineyard's tasting room after a dusting of snow last winter. Cindy & I attended an Ag Commission meeting where Golden Leaves owner, John Verbitsky, said he was going to have an assembly room for about 50 people. Boy the the sh** hit the fan. He now has a tasting room that holds about 50 people. Jonathan Lachs & Susan Marks developed the hill behind Single Leaf, up Marestail Lane for their Cedarville Winery. Mike & Carrie Skinner have one of the most spectacular views of the Fair Play Valley. Mike Skinner's family roots go way bay to the mid-1800's with vineyards. His ancestors planted grapes in Recuse before there were anything like tasting rooms. Now his Skinner Winery sits atop a hill with the tasting room is surrounded by great rock walls and patios. From the upper deck at Skinner's tasting room you can see forever. Robert Van der Vijver of Van der Vijver Estates has the motto,"Ask for Forgivenss". His approach has worked well for him. MV is short for Miller Vineyards. John Miller had to change his name because ABC said there was already a Miller Vineyards Winery. 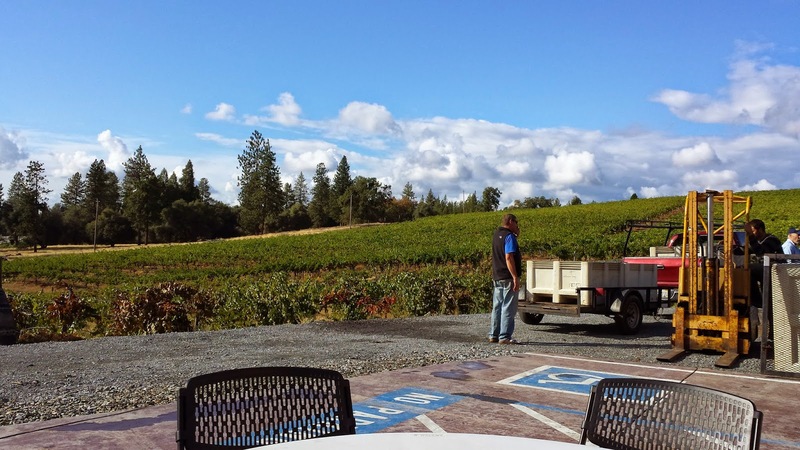 Shadow Ranch Vineyards & Winery shares the long windy driveway with Gwillan Estates. Both are nestled atop hills with good views. Palissandro Vineyards & Winery planted several Italian varietals, so they will have truly Italian wines to enjoy. The last one I will mention is not really a winery, but a commercial tasting room, Winery By the Creek. This tasting room is owned by Charles Mitchell and the grapes are from all over California. For a good look at the wineries in the Fair Play Winery Association click here . I've mentioned Cindy & I several times in these three posts. Cindy is actually Lucinda of Lucinda's Country Inn and I am the tag along whose name was not used for the Inn. I hope you have enjoyed this three part historical winery journey. Join us in Fair Play, so you too can "experience the Fair Play difference".